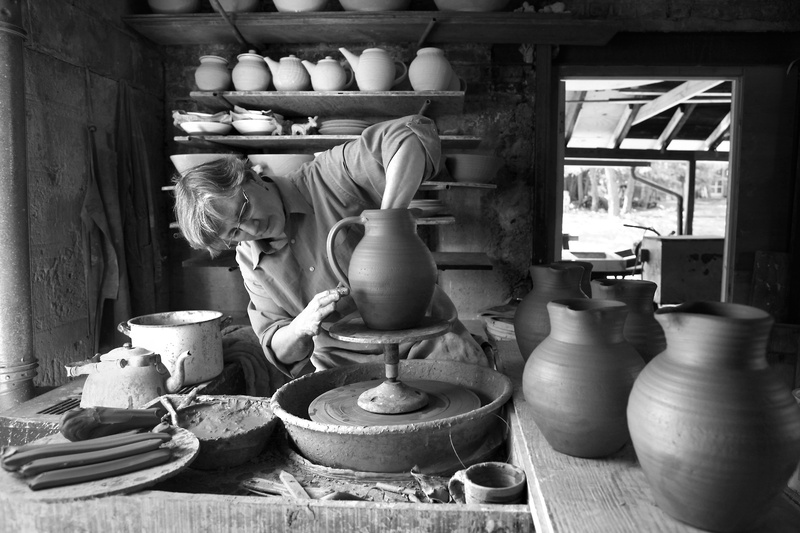 Jane Herold bowing handles on jugs in her studio, Palisades, New York. Photo by Susan Stava. My definition of “useful” keeps evolving. I’ve long believed that a pot’s true usefulness lies in its ability to generate caring, to inspire a cook to greater effort, to offer comfort and company in a cup of tea, to cause someone to pause and take note of a particular moment on a particular day. In other words, to alter people’s consciousness, however subtly. 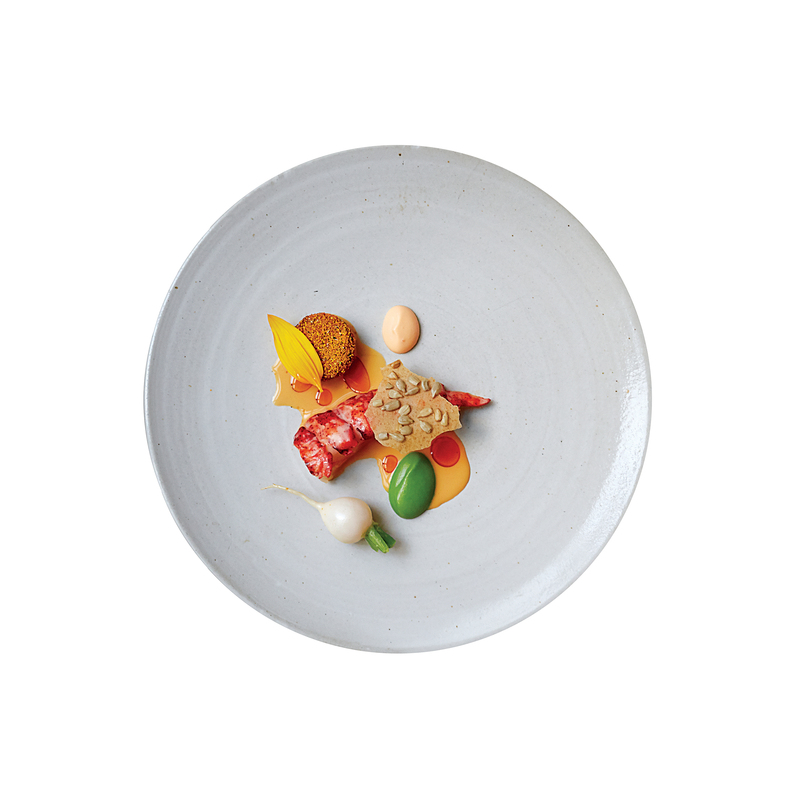 Over the last three years, however, I’ve been making dishes for restaurants in collaboration with chefs, and my point of view has changed. And left me with a dilemma. Pots occupy space in the same way sculpture does, and I’ve always wanted my work to have a strong, commanding, sculptural “rightness” and presence. Chefs are not looking for that. They are looking for canvases and frames for their artwork: the food they create. The pots that best serve them are simple and mostly undecorated. 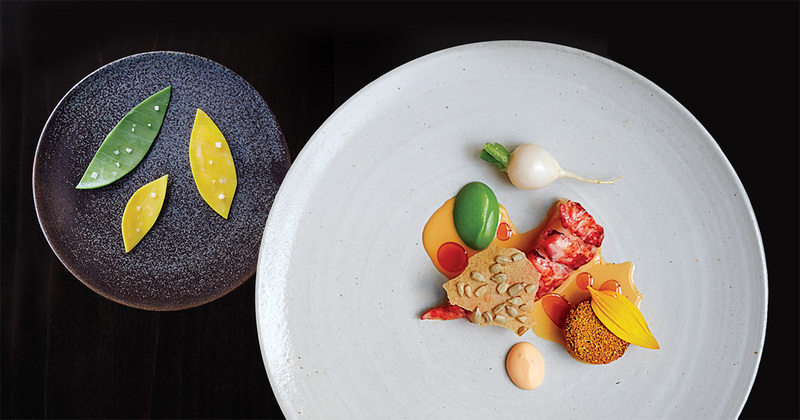 Working with chefs has been a process of distillation to the bare essentials, which in pottery turns out to be primarily form (with a touch of color and texture). Form is the essence of all pots, of course, as any potter knows; in making dishes for chefs, there has been a paring away of the individual, the ego, and the specific, which comes across so strongly through decoration. The pots are less individually lovable to me, but in the sense of attractively serving food, they are more useful. This interchangeability of pots goes against everything I’ve known and loved and worked toward for thirty-five years. Unloading a kiln has always been a pleasure, sorting through the pots, picking out favorites in which form, firing, and intent have all come together just so. Unloading a whole kiln of undecorated plates doesn’t invite that same scrutiny and celebration. This change in how I work forces me into an even more humble category of being – instead of making art, I’m making canvasses and frames for someone else’s art – and sometimes this change frightens me. (Was my earlier acceptance of the humility of the potter’s art just lip service?) And yet, the dishes I make transform the experience of dining. The same food would not be as enticing without them. Is that enough? To keep a potter happy? It ought to be. 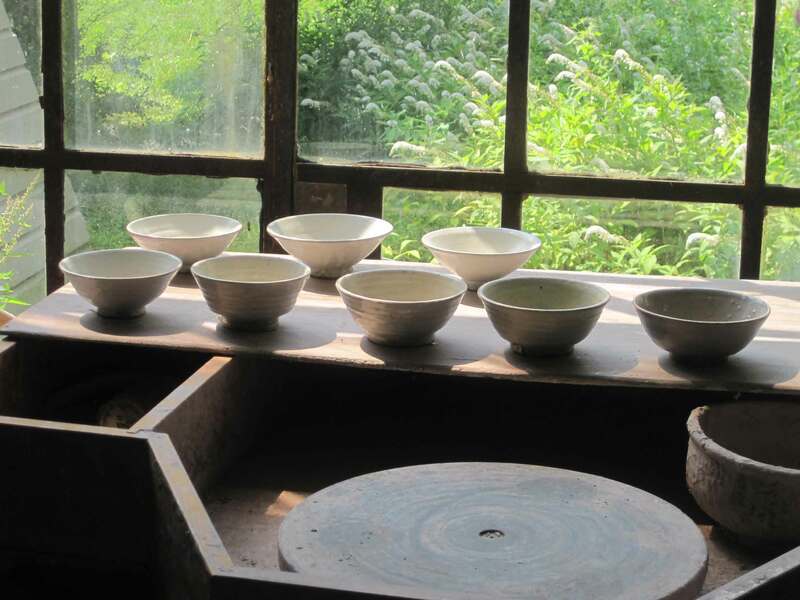 The pots I most admire – rice bowls from Korea, earthenware jugs, pie plates and milk pans from England – were made quickly in the same spirit of serving a purpose. None of the pots I love the most were made with “art” and “sculpture” in mind. So the change that has to happen is a change in me. Embracing this new way of working requires a letting-go of ego and of the need and desire to express and indulge myself. I am not a peasant potter in the 1600s, though in some ways I’m becoming more and more that person. The paring away, the whittling down, the removal of excess – in me and in the pots – is happening. Will I look back and be happy with what I’ve done? Will these very simple, humble, undecorated pots eventually give me that same emotional charge that my older, decorated pots do? And if they don’t, will this nonattachment matter? Does it diminish their beauty in any way? Or is this the path toward the kind of beauty so many potters recognize in very old rice bowls, but so few contemporary potters actually manage to create? Jane Herold has been making wheel-thrown, wood-fired dinnerware and other pottery for over thirty years in Palisades, New York. Recently, she has begun gas firing as well. All of her work is intended for everyday use and making every meal a pleasure. Jane was Michael Cardew’s last apprentice. Watch a video of Jane in her studio.